In this post, we explore the views of the FOUR WOMEN competing as Los Altos City Council Candidates 2018. There are two council seats up for election. Mr. Jean Mordo is an incumbent who running for a second term. Ms. Mary Prochow has opted not to run for a 2nd term. This is a very lightly edited transcript of the four women candidates’ introductory remarks followed by their answers to some audience Q& A. This is the actual sequence of the talks. The BOLD text emphasis is Lalahpolitico’s attempt to highlight the more salient bits or perhaps some differentiators. There is a 35 minute video of the four women here. Who are you? Why are you running? The reason I’m running is to bring new voices into the city’s discussions. There are many residents who are they feel aren’t being heard. So I am running to be the voice of the people who feel they aren’t being heard. Many of you know me personally. Or at least know some of the projects I’ve worked on over the last several years. After moving here nine years ago, I quickly became involved in my son’s school, sports, and scouting activities. I went on work on Safe Routes to School and lead the effort to add flashing crosswalks that were added last year. Traffic and safety are two of my top priorities. Next, I worked on the direct acquisition of Lincoln Park by the City and am a strong advocate for our parks and open space. I attend our Park Commission meeting regularly. I am also a strong advocate for our business community and am a member of both our Chamber of Commerce and our Village Association. In 2015 I became the community lead for the First Street Green, a smart well-designed project which would have included a downtown park. Since then I’ve followed every step of our downtown Vision process and believe our downtown can become a community gathering place and at the same time be economically sustainable for our business owners. In addition, I have long been an advocate for our youth and teens. I am not an expert, but I have one at home. My son Nicholas is a freshman at Los Altos High School. And he can verify that there is really nothing for kids to do here. So I took a leadership to include teens in our new community center [project]. And after a year the city finally agreed to move our teens out of the dark, dank [teen] Underground, and into the light. Into the new state of the art community center which is centrally located. I have worked on and advocated for a new downtown performing arts center and proposed a nature center located in the vacated [teen] Underground space at Shoup Park. I was also on the public art commission to work tirelessly to get the city council to include an in-lieu arts fee so that we can finally start enhancing our community with public art. I work on these projects because they are good for our community. I believe my experience and leadership in these areas and others will serve me well on the council. I am running for Los Altos City Council. That sounds very familiar to me. [FYI: She ran in 2016 and lost by only 5 votes.] First I want to thank Pinky and the Women’s Caucus for hosting the first debate forum. And it’s special to me because I am also a member of the Women’s Caucus. So thank you. Over the next several years, the city council will have to make some tough decisions on big issues. We want leaders on city council who can make these decisions and move these issues forward, Now its very important to know a leader’s position on an issue. That’s why I have my positions on the issues posted on my website. So the voters can understand where I stand on the issues. But equally important is whether a candidate has the right experience and leadership style to move these issues forward. I believe I am that candidate. My experience includes serving as an appointed member of the El Camino Healthcare District Board, Chair of the Parks and Recreation Commission, Vice-chair of the Grant Writing Committee, attorney for Santa Clara County for over 9 years, attorney for HP, and the mother of two young kids. All these experiences will allow me to bring a fresh perspective and voice to the council. My leadership style would also be valuable. My approach is reasoned, thoughtful, and collaborative. All the styles you need to have an effective city council legislative body. People need to work together, listen to each other, and respect each others’ opinions even when you disagree. Based on my values, my experience, and my leadership style, I believe I’m the right choice for council and I respectfully ask for your vote. Based on the number of women here today I would say the Women’s Caucus has been enormously successful since they began six years ago, Hurrah for us! Having been a native of this valley for 65 years, I’ve been involved with a number of women’s issues, but more importantly, I’ve seen the valley change over that time. And I recognize that as we look forward, this valley and this city is going to have to continue to change. We have a choice to make. We can choose to be swept up in what’s going on around us. Or we can choose to manage the growth that’s around us as well as the opportunities that in front of us for our city for the benefit of all of us. I spent most of my youth in Los Gatos. 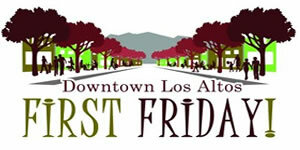 There is a reason I live in Los Altos and have done so for 40 years. I like this place better. And I want to keep it that way. In terms of looking forward, I bring a lot of experience that I think will be helpful as we try to work together as residents, and as business communities which are so important for what constitutes our quality of life. The fact is that we can go to get most of the services and goods we need right in our own community. We have to work all together to decide what kind of future we want for our city. I don’t have preconceived notions. What I do have is an ability to listen. I spent the first 10 years of my life working in the federal sector as a manager. I then spent 25 years owning a management consulting business and doing consulting for both business and the public sector both here and abroad. And then I owned a media company with clients in 30 countries. I know how to get people to work together, and I know how to work with people. Our residents are incredibly smart. I learned that in the 4 years I spent dealing with land use issues first on the Downtown Buildings Committee and then the Planning Commission. And I will bring that experience to bear, serving for you, at City Council. Q. Your stance on Measure C? Why are you taking the position you are taking? The reason I am supporting Measure C? Here is the simple distilled version of C. For me it represents the ability for residents to be able to control what happens to their land, whether it be public land, or it is leased land, parks. It basically says nobody can do anything to the lands without the residents, the majority of the residents voting as to how they are going to be used. It means that there are no shenanigans with any of our land. So I support it. I know that are aspects of it that may be a little cumbersome in that we have to put things to a vote to the residents before we can move on certain things. But overall I think it is a nice way for residents to know that the lands that they pay for, and they take care of, are available for them, to be able to use and enjoy, or at least decide what happens with those lands. It is a very hot topic. I am against Measure C. It is something that was sold during the petition process as a Save our Parks, when in fact our Parks have never been in danger. Everything in Measure C is in the fine print. It is all about, not only the sale and re-designation of land, a thing which has never happened in Los Altos, in fact, the only thing that has happened is that we have gained parkland. And I was part of that with Lincoln Park. What it would do with leases, for example, is that any of our current city leases would have to go to a vote. And that’s incredibly expensive. This initiative itself is going to cost the city $50,000 to be on the ballot. And what it would do is that each time a lease or any other…let’s say sale or re-designation, although that has never happened…but a lease, say with a performing arts center or a library, that would have to go to a vote. That is extremely unusual. I don’t think there is a single city in the entire state that has such a restriction on it. So for example, I was talking to a MV City Council member, they said the Shoreline-Lake Park would not exist without a vote. And voting is very expensive. Like Nancy, I oppose Measure C. As the former Chair of the Park & Recreation Commission, I value parks and open space here in Los Altos, and I think we should make them a priority. But measure C goes too far. As Nancy explained, it’s not just limited to Parks and Open space, but it’s also for our public and institutional buildings. We currently have leases with entities that provide critical services for our community like the fire stations. If Measure C were to pass, this would mean that we would have to go to the voters to renew or renegotiate a new lease. for a core service like fire services. Additionally, as an attorney for HP, and previously for Santa Clara County, I understand when a measure is vague, ambiguous and will require us to be in court every week litigating what it means. When I read Measure C – I’ve even done it a couple of time now — I don’t even know it means and I’ve done [written] similar measures. I am in favor of measure C and with all due respect, I have to say that the people to my left [Fligor and Breneau] are misinformed about Measure C. It is a very straightforward measure. It basically says that if the city wants to privatize certain land then it has to go to a vote. It does not have any retroactive measures. It cannot be applied to existing leases. Those leases can be renewed. It has no effect there. What is really does is it puts into our residents’ hands the ability to decide whether or not land that we own is privatized. That’s basically what it does. As for the cost of doing an election. It would be very rare. No one ever put this forward as only a Parks measure. This has always been represented by the people who collected signatures as something that also affects all our public land including even the maintenance facility in the middle of town [on Fremont near Loyola] and the downtown. So with all due respect, we disagree. What are your proposals for doing something about Affordable Housing? Our Housing element provides a way for us to do this. But we are never going to meet the state numbers with the plan that is there. I agree with Anita. I think that as a community we need to look for creative solutions to for affordable housing. As a City Council member, I would support looking at a variety of options for meeting the affordable housing need. This varies from ADUs, but also higher density housing on El Camino. As we move forward with projects on El Camino, which I support, the only thing I would do differently as a council member is to insure that neighbors on Casita Way and other neighborhoods, that they concerns on how the noise and traffic will impact them are factored into the decision. When I think of affordable housing I think of our teachers, or our seniors, or our emergency responders. People who provide core services for our community, who make up the community. So I strongly support looking at different ways to have affordable housing. Because when you look back at what makes Los Altos great, its the fact that we have this broad community. I am a huge proponent of affordable housing and I think Los Altos can do more. We are however, a community that is almost 100% built out in terms of lots. ADUs are a huge way we can meet our needs, allowing that, fast-tracking it. However, that’s not going to provide the entire solution. So we do need denser housing along ElCamino Real, we need to ask our developers to provide in lieu fees and other ways we can create affordable housing. Work with our school districts to create housing for teachers. I’m interested in every possible solution. I will work towards that on City Council. This a topic that is near and dear to my heart. I think that affordable housing is an absolute must. I think creating extremely dense housing that is all on El Camino and on certain area in the City and imposing on the neighbors that live in those areas is not quite fair. So my suggestion is and my goal would be, to get very creative. Where can we put some units, where can we get people to even open up their homes, they may have extra bedrooms. I’ve been approached by people who said. I would rent part of my house to a teacher. Some people have an extra wing. So I think encouraging that. So yes I think ADUs are an important part of the discussion. The key with ADUs is to make sure that they are not imposing on the neighbors that they are next to. So I think we have to be very careful about that. Because we have to think how would we feel, if something was done to us. So one of the things that I would recommend and do is put a committee together. And I’d say, let’s look at everything. As I go around, I think Santa Cruz is doing a good job with this. And I think they are a good city to model. What is your reaction to the new Visioning process? 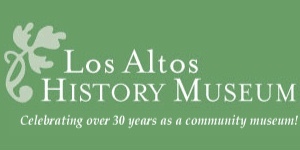 What is the image of Los Altos of future? My reaction is that I feel we still haven’t had quite enough people involved in the conversation. So I think it we could reach out and get more involved that we have gotten that would be a really beneficial way of getting our city to more united. That’s one of the reasons I’m running. Once again there are people who feel they are not being heard. That they are not being reached out to. And they are not being considered. I think that’s a piece that is really missing in our city. So as far as bringing the city forward and making it a more vibrant place, Yes, but would we do that at the cost of the people who live here who are opposed to it, and if they are a majority, No. This is a subject I love. I have followed the downtown visioning process , every nuance of it, for the last two years. We have had over 40 community engagements with the consultants. I think the results have been fantastic. There are a lot of really great ideas in the current downtown vision. Which is just a document. 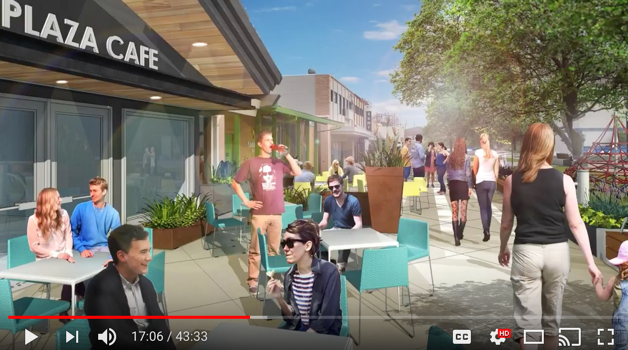 But there are a lot of things that are low hanging fruit that we would love to pick up on for example, an outdoor downtown plaza for outdoor eating, more complete streets that are more pedestrian and bike friendly, having outdoor activity nodes, with outdoor fire pits. There are a lot of really fun inventive things that will make our downtown more of a community gathering place and more successful for our business owners. So I am very excited about it. I also support the downtown vision plan. And I do think the City has done a good job in engaging with the community and doing outreach. My family and many of my friends, the majority of individuals, support having more vibrancy downtown. What does this look like? More restaurants, more shops, more outside dining areas for us to congregate as a community. Something we all value here in Los Altos. But we also wants to make sure as we move forward with increasing vibrancy downtown that we think about the charm and character we all still value in our downtown and want to see there. In the downtown vision that the city council recently adopted as a guideline, there are some low hanging fruits, and I do think even though when you look at the plan it is really over a span of 25 plus years. And many of my friends here say they may not even be around. But I do think that over the next couple years, portions of the plan that we can expedite, portions of the plan we can implement, we should. I have a little bit different take on the downtown visioning process. Because I was a business owner, I am very concerned whether or not we can implement a number of these ideas without harming our downtown business community. When we talk about wiping out most of the parking in town and replacing it with essentially one parking garage, I am really concern that a community that is used to proximate parking will in fact abandon our town. This is happening in Santa Row. It’s happened in Los Gatos, it’s happened in Saratoga. So I think how we stage and implement the ideas here, no matter how meritorious, we have to be really really careful about the unintended impacts we may have, so we don’t get something that actually kills off what we all love about our town. As for a number of the activities that have been mentioned by my colleagues here, great ideas, but not idea how we are going to pay for them in a time when we have a major, more than a $30M pension deficit, I think we have to be realistic about it as we move forward. Some examples of cities with a good vision? Ones we could emulate. What is your one model city with a good plan? I don’t feel there is a city that is doing an excellent job nearby creating the vibrancy that we may be seeking within our downtown. People say be more like Saratoga or Los Gatos, let’s not go the way of Mountain View or Palo Alto. Los Gatos keeps a busy downtown but keeps low building heights at the edges of their town. People come into the town on a regular basis for dinner and shopping. Los altos is so unique. We have an amazing infrastructure, the way the streets are laid out. The charm is incredible; we can just improve on that. We have a problem in that some our residents will go downtown, drop off their shoe repair and then go off to Palo Alto or Mountain View to have dinner. What we can do make sure we keep our own residents here? We certainly are at ground zero of one of the most affluent communities in the world. So we should be able to support our businesses. But making it more fun, more family-centered downtown, I think is really important. We can do that and also sustain our businesses and improve their businesses. I am trying to think of what city I admire. I’m not sure about the nature of their plan or vision, but Carmel came to mind. Carmel still has the charm and character. And you know that when you are walking on the street, you have the cute restaurants and the shops, and its very busy, and obviously it is very successful. But the buildings still retain that charm and character. And I don’t think you notice how high the building are because of the articulation and the setbacks, and how they were able to build in strong architectural design into their plans. 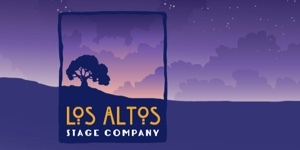 I can tell you I don’t want Los Altos to be Palo Alto, and I don’t want it to be Mountain View. Many of us chose Los Altos for a reason, and it’s because we love having a downtown, but we also want to preserve the charm and character. That’s why you want leaders on council who understand this balance. And will support a downtown vision plan that will promote such a balance. I mentioned in my opening statement that there is a reason I live in Los Altos and not in Los Gatos. But I want to talk about Los Gatos a little bit. Los Gatos dealt with an issue about 15 or 20 years ago about whether they were going to allow big box stores. So they have an Apple store, they have a Willians-Sonoma, and the city went through a lot of trauma about whether they were going to do that. I think we have to confront the same kind of question. Do we want to be like Carmel which is primarily a tourist town, or do we want a town for our residents? And I live here and most of you live here because we love the town FOR US. It’s not to say that we don’t want some tourists to come, but we want the town mainly for us.